Philadelphia, Pennsylvania is a city of over 1.5 million people, often referred to by the nickname “Philly”. It is the 2nd biggest city on the United States Atlantic Coast (behind only New York City), and the 5th largest in the country. The surrounding Delaware Valley is home to another 4.5 million, more than half of whom live in the Philly suburbs. The city's name originates in the Greek language (“philos adelphos”), and gives it another popular nickname as “The City of Brotherly Love”. If you are traveling to Philadelphia for a business trip or convention, it's a lot easier to get around this huge city if you have your own transportation. A rental car lets you zip back and forth between your hotel and meetings, appointments or business sites. And of course, once your work day is done, it gives you the freedom to check out the Philadelphia night life, fine dining, or just to tour the city's great landmarks and attractions! On the other hand, if you're planning a trip to Philadelphia just for fun, for a weekend getaway, or for a family vacation, then a cheap car rental is likely a critical part of your budget. You'll need room to pile the kids in the back seat, but you'll also need the lowest rate you can find in order to save money that you'd like to spend on fun and entertainment. At VroomVroomVroom, this is our specialty! 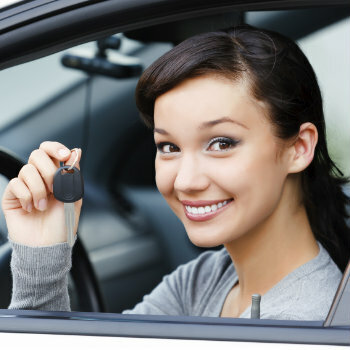 We are the experts in car rental rate comparison,and we can help you find the lowest rates on a rental car, truck or SUV in Philadelphia right now! We don't charge a booking fee, a cancellation fee if you need to cancel, or any hidden fees at all! Comparing all the lowest rates will save you money, and doing it here on 1 site will save you lots of time! You can feel safe about your personal information when using our secure website – it's protected via Secure Sockets Layer (SSL) encryption software! Contact us today if you have any queries and our fabulous customer service team will be delighted to assist you. Travelers flying into Philly will often land at the Philadelphia International Airport (airport code: PHL), which is located on the south end of the city. PHL is a hub for US Airways and in 2010 was the 12th busiest airport on Earth by number of takeoffs and landings! PHL sits 7.2 miles southwest of the Downtown area, and you'll be able to drive anywhere in Philly thanks to nearby Interstates I-95 and I-76, and highway Route 291. At Philadelphia International, you'll find information phones available at baggage claim for the car rental agencies that are located on-airport. These companies are Alamo, Avis, Budget, Dollar, Enterprise, Hertz and National. To pick up your rental car at PHL, just go to Zone 2 outside baggage claim! Vehicles with hand controls are also available from any of these companies, but the airport advises that you make that request when you book your rental car, and that it is made with 72 hours advance notice, which is required by some of the companies to ensure it's available when you arrive! Philadelphia has a lot of cool attractions, loads of entertainment and restaurant options, and is known for its arts and culture scene! Your rental car will give you the freedom to check out as many of these places as you wish, providing you have enough hours in the day!!! Drive down to the Old City or over to South Street when you want to have some late-night fun! You could also check out the restaurants and theaters in your rental car – great ones can be found on the Avenue of the Arts in Center City. If you enjoy classical music, why not take your car rental out for a spin, and then take in a performance by the Philadelphia Orchestra, which is one of the top orchestras in the country? They perform at the Kimmel Center for the Performing Arts! Philadelphia is steeped in history and enjoys something of a reputation as the place where America began her quest to pursue and sanctify life and liberty. But it is now a thriving and modern city, proud of its roots, but embracing modern day life. 2. Visit Historic Philadlelphia - It's packed into an area of only a square mile, yet three very different neighbourhoods, all jostle for attention with their own restaurants and cuisine and outstanding historical architecture. Try a Philly Cheesesteak or sample some of the delights of the more traditional Pennsylvanian Dutch cuisine or just soak up the ambience, but above all don't miss it ! 3. Experience the Farmers Market - The farmers market, known as the Reading Terminal Market, has been operational since 1892, located at 12th and Arch Streets, and is the oldest farmers market in the US. The market also offers an interesting glimpse into the world of the Amish, who come to the market usually four days in the week. 4. Go to Citizens Bank Park - Philadelphia is renowned for sport and offers something for everyone, whether spectator or participant. But no visit to Philadelphia would be complete without a trip to see the Philadlelphia Phillies play on their home ground. 5. See the Liberty Bell Center - This is the recognised symbol of freedom which has become an international emblem. The Center offers an interesting history of the bell and how it has come to symbolise freedom and liberty. Feedback: Always easy, easy, easy!